Saint Teresa of Avila described our interior life as a castle with many mansions that is multi-faceted and labyrinth-like. There is nothing simple about navigating the interior life. Saint John of the Cross was especially aware of how dark it can become and how blind we can feel as we try to make our way toward deeper union with God. God Himself acknowledged all this through the Prophet Jeremiah: “The heart is deceitful above all things, and desperately corrupt; who can understand it? I the Lord search the mind and test the heart” (Jer 17:9-10a). To make matters worse, this is not merely describing difficulties in a small part of our life. Our interior life impacts and is impacted by everything we think, feel, say, do and choose not to do. Our interior life is the place where we are alone with ourselves and where we are alone with God. How do we learn to navigate the interior life in the most fruitful way? In our Catholic tradition, the person who helps others to navigate the interior life is called a spiritual director. The primary and ultimate spiritual director is the Holy Spirit. “For the Spirit searches everything, even the depths of God. For what person knows a man’s thoughts except the spirit of the man which is in him? So also no one comprehends the thoughts of God except the Spirit of God” (1 Cor 2:10b-11). The Holy Spirit helps us search our own interior and also leads us more deeply into the Interior of God. Unsurprisingly, however, the Holy Spirit prefers to work through our human relationships as much as possible. In the practice of spiritual direction, the Holy Spirit guides and inspires the human, one-on-one relationship of the spiritual director and the spiritual directee so that it deepens and enriches the directee’s relationship with God. Spiritual direction is an ancient practice in the Catholic Church, going back at least to the desert fathers and mothers whose own long years of committed exploration of the interior life made them experts at accompanying others on the interior journey. Despite its venerable practice and unquestionable value, however, the availability of and interest in spiritual direction has waxed and waned throughout Christian history. In our time, happily, it seems to be experiencing a resurgence. It is one of the critical tools God is providing to support those growing in holiness in a culture that has largely lost its Christian character. In fact, in our experience, the demand for spiritual direction now far exceeds the availability of spiritual directors. Observing all this, Fr. Thomas Acklin and I believed that a book on spiritual direction could be valuable for supporting the important movement of spiritual growth that we see unfolding in our day. Furthermore, we hope that our book, Spiritual Direction: A Guide for Sharing the Father’s Love, published by Emmaus Road Publishing, provides useful insights for both those who are being asked to offer spiritual direction as well as for those seeking spiritual direction. We wrote it to help the director and the directee better understand the dynamics of a healthy spiritual direction relationship in hopes that spiritual direction relationships can become more widespread and more fruitful. In our book, through descriptions and examples, drawing on the teaching of the Church in her popes and saints, we unfold the dynamics of fruitful spiritual direction in a way that can help both director and directee to make the most of their relationship. We believe that the important movement of more widespread spiritual direction is a special gift in our time to help men and women to grow in union with God and become the leaven for the development of a new Christian civilization. Many who have read our book have reported that they now finally understand what they are supposed to be doing in spiritual direction. A common challenge for directees is knowing what to share in spiritual direction. Because spiritual direction focuses on the interior life, particularly exploring how the interior life is in relationship with God, it can touch on everything in a person’s life. This means that it is appropriate to update one’s spiritual director on what is happening in one’s life. At the same time, however, this can devolve into mere reporting of events and waste much time on the surface of one’s life without delving into the interior. The key to fruitful spiritual direction is vulnerability. This means sharing specifically the hidden thoughts and feelings that are held in the heart and only known to the directee until they are vulnerably shared. Such sharing opens up pathways in the heart that invite the Holy Spirit to enter in and touch all those places with divine light and love. Being a spiritual director is an art rather than a skill and everyone must ultimately find his or her own path and learn to apply his or her own gifts. At the same time, there are some key points that apply universally. Namely, spiritual direction should always facilitate vulnerable sharing from the directee. A good spiritual director helps the directee move from reporting facts to opening up the interior and helps the directee bring that interior explicitly into relationship with God. 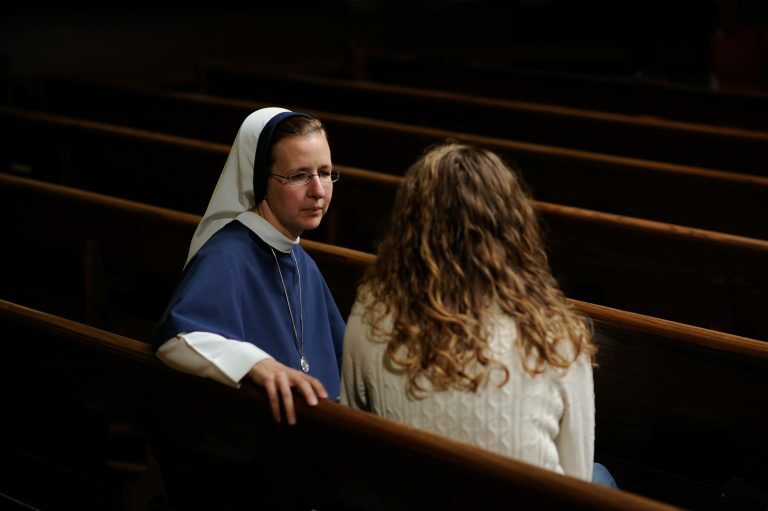 This process requires a tremendous amount of trust and a good spiritual director will often be blessed by a directee’s vulnerable declaration, “I have never shared this with anyone.” Such trust can only be developed if the spiritual director is also vulnerable in the way that he or she listens. There is nothing cold or calculated about offering spiritual direction. Only the tender warmth of a vulnerably attentive heart will draw out the vulnerable self-revelation of the spiritual directee. Consequently, the bonds formed through spiritual direction often have a familial quality and the director is rightly seen by the directee to be a spiritual father or mother.